Wow. 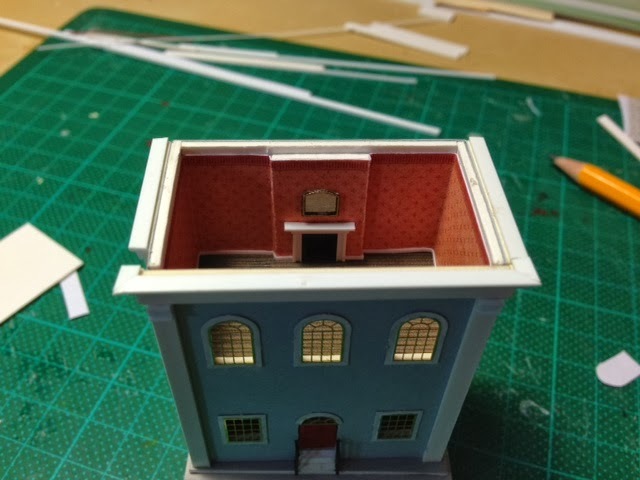 It is so detailed! 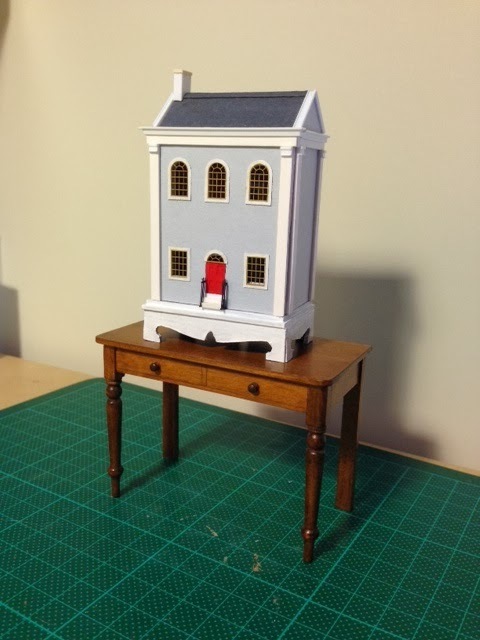 Another gorgeous creation Emily, so nicely finished inside and out. Love it,such detail! Looks so real! 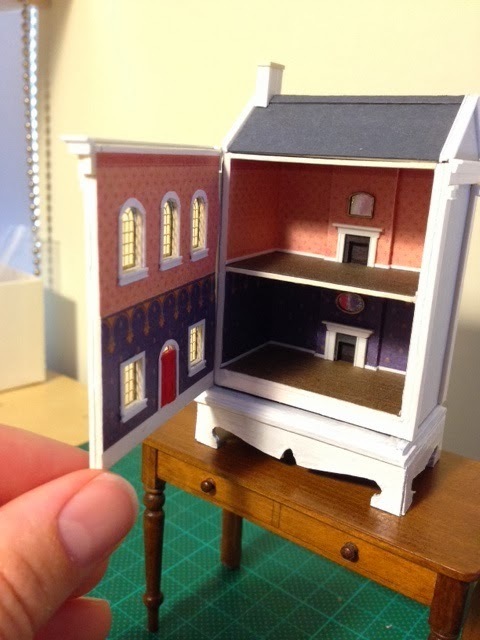 What a beautiful and small dollhouse, Emily, this is excellent work! 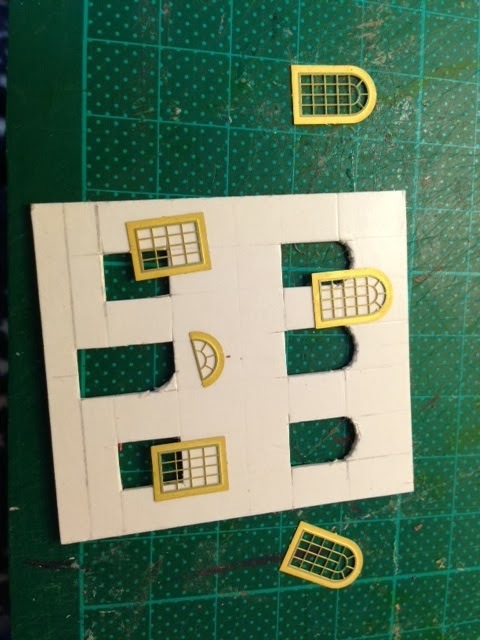 Did you also cut those tiny windows by yourself? Oh my......how are you able to see what you're doing? 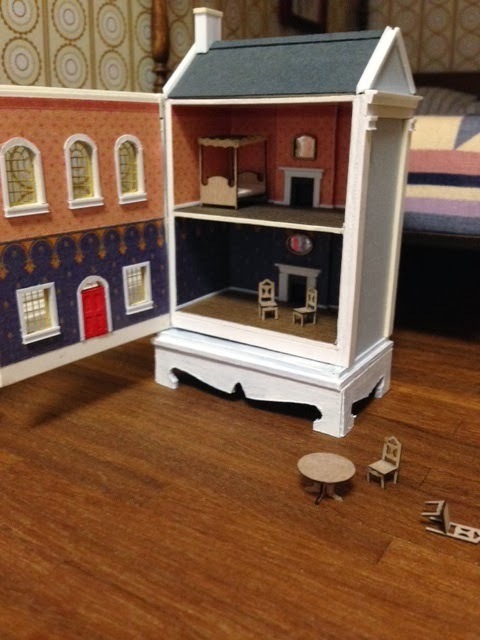 I also think a dollhouse can be placed anywhere :D! Que preciosa!! Me encanta y que pequeñita, es un trabajo estupendo!! Your work in such a small scale always impresses me. It is just beautiful. 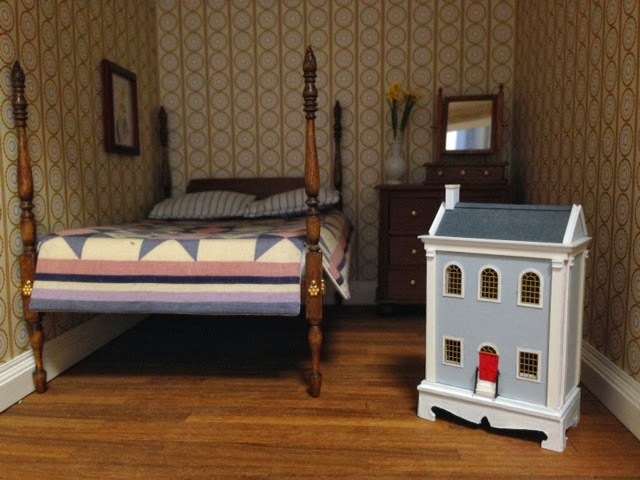 The house is gorgeous, love the bedspread too, really nice colour scheme in the room. 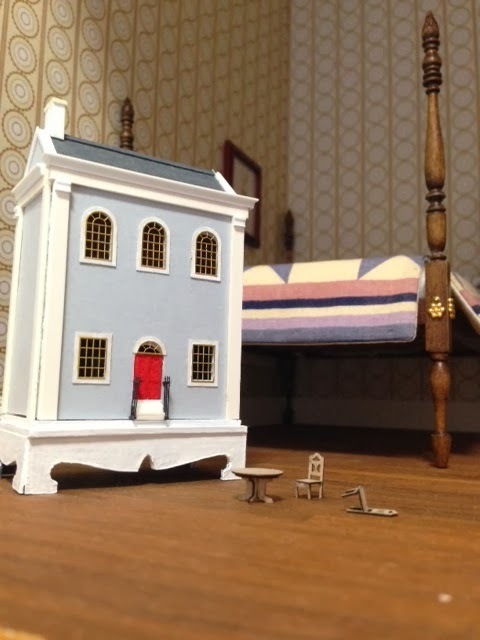 This house is Wonderful Emily! 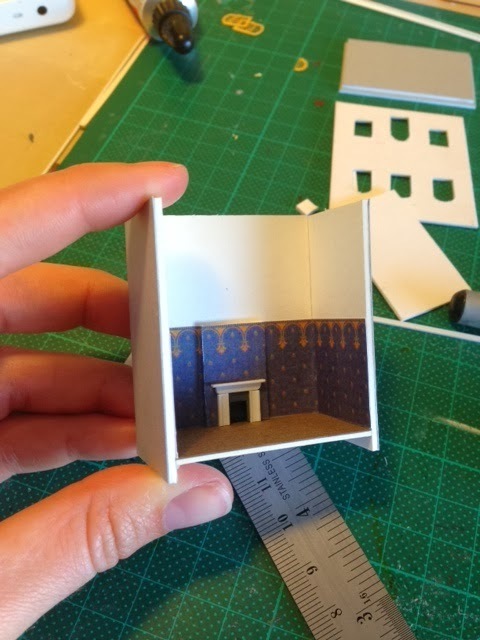 It has just enough detail and yet looks just like a child's play toy! The wall paper is Perfection!